Liverpool has always been a popular tourist destination, thanks largely to its fantastic musical history and culture but there is much more to the city than just the Cavern Club and The Beatles. 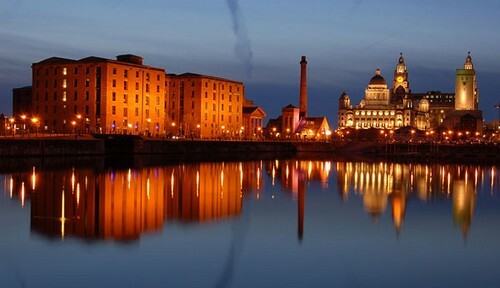 As a port town, Liverpool has always been at the forefront of changes in British culture and its waterfront location has contributed heavily to creating a diverse population. 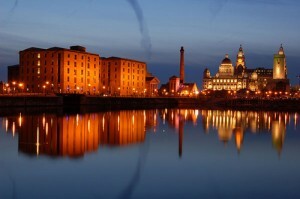 Liverpool boasts an impressive array of landmarks, many of which are incredibly interesting to tourists. The city’s history has meant that a wide range of influences have come to impact the sights you’ll see when wandering around, giving tourists an exciting and informative insight into the region’s colourful past. Several areas throughout the city have been designated a UNESCO World Heritage Site as an acknowledgement of the city’s role in the development of international trade and docking technology. Many of the sights that will intrigue visitors can be found at the waterfront and docks, including the famous and revolutionary Albert Dock. Due to the immense amounts of money running through the city at the height of its power, many historic and grand buildings were constructed in the city as headquarters for the large companies and financial institutions operating in the region. As such, many visitors are left stunned by the scale and beauty of buildings like the Liverpool Town Hall, Bank of England Building, the Municipal Buildings and Oriel Chambers. However, the impressive range and size of the city’s architecture is not limited to business buildings with constructions like Liverpool Cathedral and St. George’s Hall considered some of the finest examples of their particular style of architecture in the world. If you’re looking to visit Liverpool to take in the sights of this beautiful and historic city, there are a number of options available. It is both quick and easy to book Travelodge hotels in Albert Docks and you’ll find the city incredibly easy to reach by almost any means of transport. Staying near Albert Docks will also give you great access to the city centre and the comprehensive public transport system through which you can explore the rest of the city. ← Teaching English in Europe!